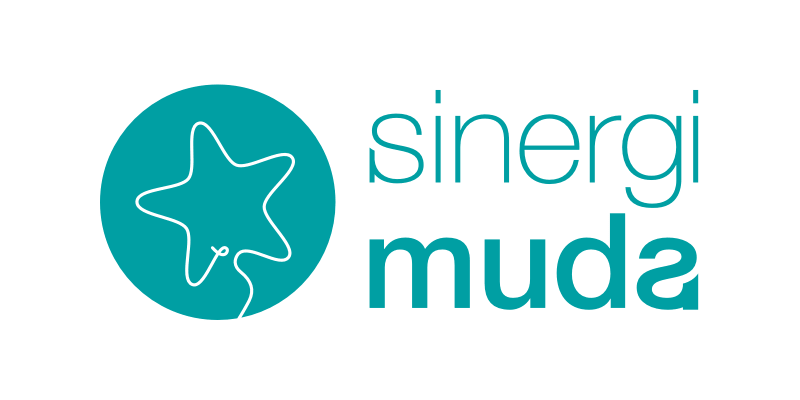 IYC is an annual program by Sinergi Muda consisting of talk shows, public discussions, workshops, art exhibitions and performances, and community and career expo. Visitors would need to register themselves to obtain tickets to access the event. This website serves as the main source of information and registration. Automated ticket dispatch. We don’t need to do manual things like creating the ticket and send them to the visitors. All we need to do is only making sure that they have already paid for the ticket, and we just need to click a button, and they will receive their tickets automatically. Seat/capacity management. 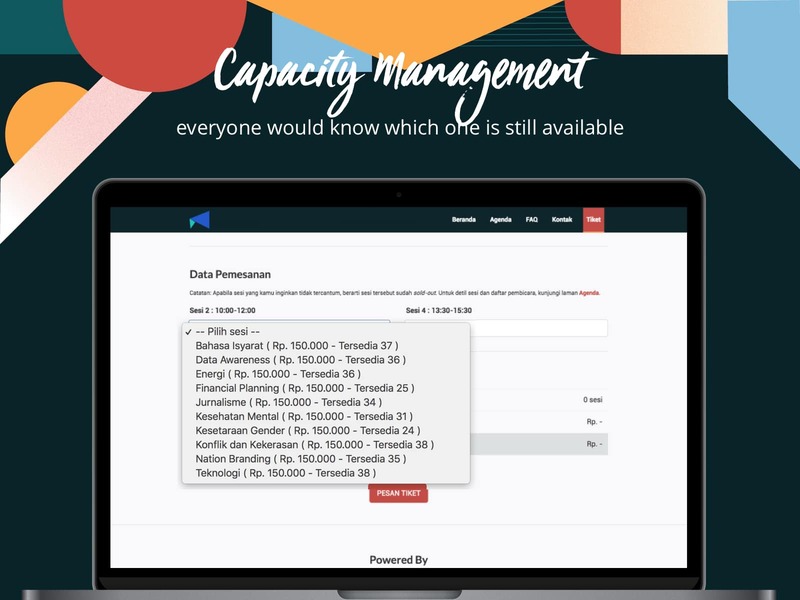 We were overwhelmed by doing manual seating management by looking up to the database, and every staff has their own version of the database. 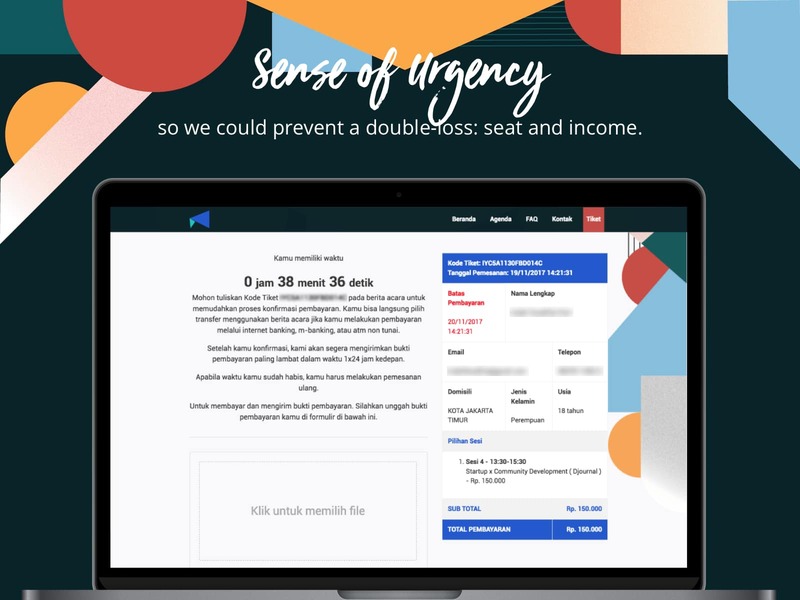 By having a single seat management, we can make sure that everyone got their seat and we can prevent double booking. Creating a sense of urgency. Every event has limited capacity, ours too. Sometimes, a user would order a ticket and never made a payment. That would make a double loss: loss of ticket and loss of income. By adding a deadline to make a payment, we can prevent this from happening. Illustration: Fanita Putri Indahsari, Levina Purnamadewi, Praditta Ayu, and Widya Rafifah Salsabila.